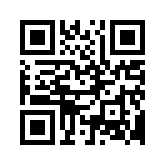 This tutorial shows you a graphical tool for generating and reading QR codes in Ubuntu Linux. 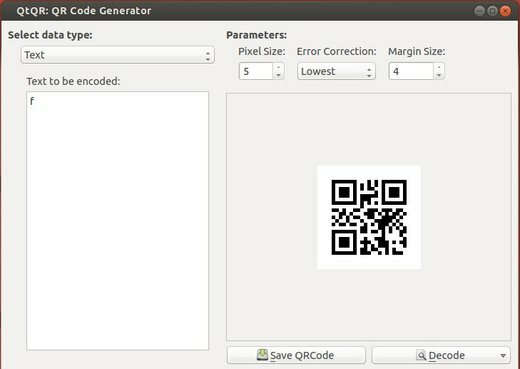 It’s QtQR, a GUI front-end of qrencode made in Python & Qt, which provides a simple and easy to user interface to encode text, url, bookmark, Email, telephone number, phonebook, SMS, MMS, Geolocalization and decode from image file or webcam. This simple application is available in Ubuntu universe repository since Ubuntu 12.10. Just search for and install qtqr in Ubuntu Software Center (Works for Ubuntu 13.10, Ubuntu 13.04, Ubuntu 12.10, Linux Mint 14/15/16). failed to fetch on 13.10 when I added the ppa. I can’t reach any PPA too. There might be server problem on Canonical’s launchpad.net at the moment. Try later! As I said in post, you can directly install QtQR from Ubuntu Software Center for Ubuntu 12.10 and higher.